Russ – a lifelong skater (45 years), teacher, and amateur ramp builder was actually the one who came up with the concept for Gator Skins. Russ has built with and skated on just about every surface imaginable. Today he uses the knowledge and experience he has compiled over his lifetime to help Gator Skins customers any way he can. He has helped numerous people with all aspects of their project, from planning, to moisture prevention, to fabrication techniques, to maintenance. He simply loves talking about all things skateboarding. 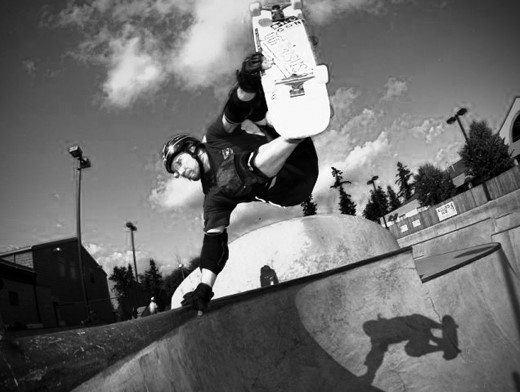 His passion is instructing skaters of all ages, helping them to improve their skills and safely enjoy skateboarding. His dream is to open a world class indoor skate park here in the Pacific Northwest that would encompass all skating styles.